Based on 12 years of historical testing and realmoneyexperimentation, this proven approach to successful stock trading provides seven strategic methods that anyone can master. You'll learn how to use the best available information to find the best possible stocks, positioning your money for growth no matter what happens in the market. You'll discover the easiest automated tools to build and adjust your stock portfolio--without wasting hours scanning through endless charts and financial reports. 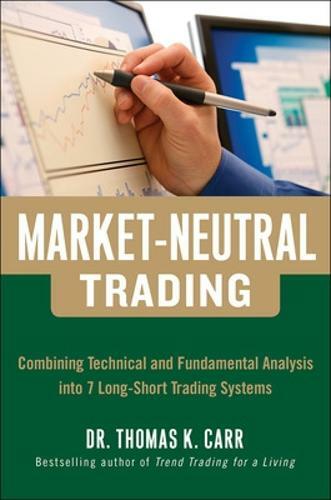 "Market-Neutral Trading is a low-risk hedging strategy with strong consistent returns in volatile markets. The best part is that it only takes a little time each week with little monitoring." -- Randy Russell, CFP, Senior Financial Advisor, Metro Atlanta District, VALIC Financial Advisors, Inc.